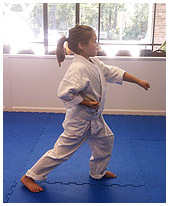 For ages 4-6, the Little Ninjas program will help your child build a foundation for the martial arts as they develop coordination, balance, listening skills, safety skills, discipline and respect through games and drills. 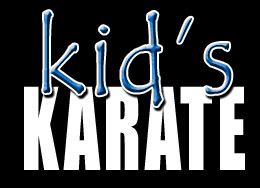 For ages 7-12, our Kid's Karate program keeps karate fun and interesting while building core karate skills and instilling a sense of self-respect, self-discipline and self-confidence. As their sense of self-confidence rises it then positively affects their attitude which then affects their academic performance in a positive way. The fear of raising their hands to answer questions disappears. Children schooled in the arts are more capable of dealing with the inevitable “Bully” in a very tactful and non-violent way. They are less likely to give in to negative peer pressure. unhealthy peer pressure when the time undoubtedly comes. The ability and know-how to set and achieve powerful goals. The ability to be more responsible for their actions and not always blame others for their mistakes. 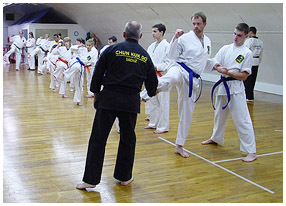 Our Teen / Adult Karate program is for ages 13 and up. 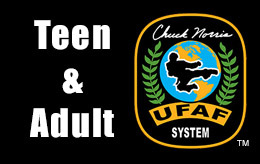 As you progress through the ranks of the Chuck Norris System™, you will gain confidence, get a great workout, and build skills to defend yourself and your family. Instruction for all levels is available. Whether you are a beginner of any age, or a national competitor looking to improve your skills, Ed Saenz School of Martial arts can help you reach your goals. Contact Us today to set up an appointment to get started!